Suffolk County, a National Leader in Environmental Initiatives. Why? Abstract: Suffolk County has been a leader, often within New York State and sometimes nationally, in developing plans and legislation to preserve the bodies of water, farmlands, and open spaces. Is this circumstantial and fortuitous? Or, were there forces that inspired governmental leaders to take action? This article explores those questions with the hope of inspiring our next generation of leaders to be vigilant and bold as threats to our natural resources, open spaces, and health continue to arise. The government of Suffolk County has been a leader in creating environmental and conservation initiatives and legislation over the last half century.1 Many were the first of their kind within New York State and even the country. Why is this? Economics? Limited natural resources? Personnel? And when did this begin? The county’s legacy of protecting natural resources and the environment continues to this day. The primary areas for the county’s actions centered on preservation of water quantity and quality (surface and drinking), management of sewage and solid waste, and maintenance of agriculture and open space. Figure 1: Elevation map of Suffolk County. County online maps. 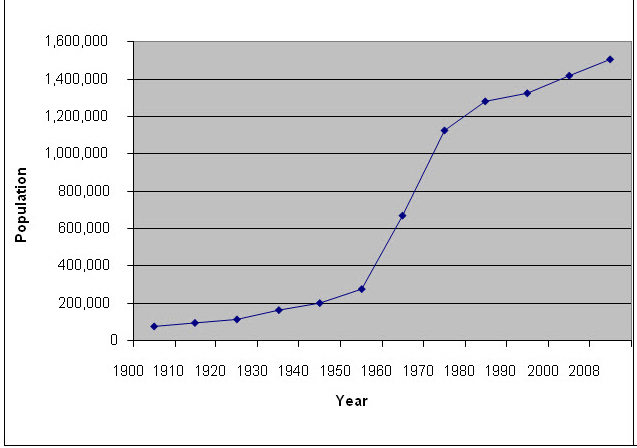 Figure 2: Population growth in Suffolk County, 1900-2008. In 1960, with adoption of the Suffolk County Charter, governance switched from a Board of Town Supervisors (ten total) to include an elected county executive. Subsequently, the standard for the county’s environmental ethic and in many ways its blueprint was the 1964 publication, A Plan for Open-space in Suffolk County. The plan justified the need for open space: historically, sociologically, geographically, and economically.8 It also suggested the means by which to acquire and assure that such space would exist into the future. Initially, there was resistance to such progressive ideas but by the early 1970s, the American public, including Suffolk County residents, had begun to show a growing concern for the environment. This was reflected in the fact that approximately 20 million Americans took part in the first annual Earth Day, held on April 22, 1970. This important day marked the formalization of the national environmental movement. And Suffolk County was at the forefront. President Richard Nixon and the U. S. Congress reacted to the national public sway toward environmental protection by creating several federal environmental organizations including the Environmental Protection Agency (EPA) and the National Oceanic and Atmospheric Administration (NOAA). In addition, Nixon signed a spate of environmental legislation including: the National Environmental Policy Act (1969), the Council on Environmental Quality (1969), Marine Mammal Protection Act (1972), the Clean Water Act Amendments (1972), the Marine Protection, Research and Sanctuaries Act (1972), the Coastal Zone Management Act (1972) and the Endangered Species Act (1973). Protecting the availability of fresh water was a primary concern that had driven earlier conservation efforts in Suffolk County. 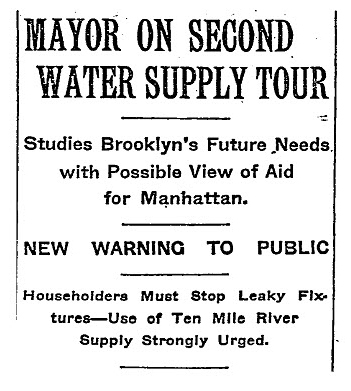 New York City Mayor William Gaynor, in 1911, contemplated drawing upon Suffolk’s water supply. While living at his Deepwells Estate (now a county park) in St. James, he toured areas in the county that might supply Brooklyn and the rest of the city with water.10 (Figure 3) The city was perched like a vulture waiting to pounce on the county’s water if the need arose and the opportunity presented itself.11 Before the Environmental Bill of Rights, as early as the 1930s, Suffolk residents recognized the issue of limited water supply on the island and began protecting it primarily from the demands of heavily populated and water-greedy New York City. Figure 3: New York Times article about Mayor Gaynor’s survey of Suffolk County water sources, 1911. These two events led Macy to push for county water control and in 1937 the Suffolk County Water Authority was established with Macy as chairman.15 That same year, the Suffolk County Water Authority successfully helped Nassau County prevent New York City from claiming water under its lands. The advocacy temporarily stopped the drilling of wells in Nassau County and sent a strong message that Suffolk County would back the defense of the island’s groundwater supply for residents in its neighboring county. County Supervisor Edgar A. Sharp from the Town of Brookhaven said it was of utmost importance to protect Suffolk County water from being taken by New York City and because Nassau and Suffolk Counties depended on the same aquifer, protection extended to Nassau. Water as a valuable resource gradually extended from quantity of ground water for drinking to concerns regarding pollution from sewage and landfilled municipal solid waste (MSW). Preserving tidal and surface waters was also considered important. In 1944, two projects were initiated to protect ground water for purposes other than preventing use by New York City. The first was the initiation of an investigation of Suffolk County ground water by the U.S. Geological Survey (USGS).18 This multi-year study began the full mapping and recording of the dimensions and condition of the Long Island aquifer. The project continued through 1950. The second was the development of Suffolk’s first County Sewerage Plan19, based on the concern that Suffolk County’s multiple individual cesspools were unregulated and potentially polluting surface and ground waters. It would take another 15 years to establish the Suffolk County Sewer Agency in 1965 and the beginning of serious efforts to renovate and regulate sewage throughout. This first sewerage plan was an early recognition of the mounting problems presented by accumulated waste and water pollution resulting from anticipated population growth. The above situation led to the 1946 passage of legislation proposed by newly elected State Senator Macy that removed the power of any municipality to enter Suffolk County to mine water and acquire sites for garbage and refuse disposal as well as sewer facilities.22 In essence, Suffolk County legislatively shut its borders to keep its water resources safe from outside use and potential pollution. Four years after his initial suggestion, Macy had also successfully arranged for a county owned and operated water works. Now known as the Suffolk County Water Authority, it has gradually acquired many private water companies in the county and assures that county residents have high quality drinking water. In 1960, the year the county charter was approved, Suffolk County was rated the fastest growing county in the nation. Previously, Nassau County had held this title.30 The demand on Long Island’s limited water supply and the need to protect it continued to grow. With the election of engineer H. Lee Dennison as County Executive and appointment of landscape architect Lee Koppelman as Director of Planning, a myriad of trailblazing studies were conducted to better evaluate the water, sewage and waste issues within Suffolk. Both men had visions of establishing new public works in the county but during the early 1960s the public response to governmental regulation of land and water use met with initial resistance. Despite this negative reaction, the new county government kept pushing for more studies and management, and by the late 1960s public opinion toward conservation became more supportive, leading to a booming period of county environmental legislation in the 1970s. A Suffolk County study examined the need and feasibility of constructing public sewers in 1961. At the time there were some 200,000 cesspool in the county leading to multiple ground and surface water polluting episodes.31 It was reported that 97 percent of the people living in Suffolk County were not served with public sewers and it would cost “$3000 per house to sewer – almost $400 million.”32 Housing lots at the time in much of Suffolk County were based on high density zoning from the 1920s. The study found that in order to have a properly denitrified cesspool, development needed to be limited to one or two individual lots per acre. The county’s need to preserve the quantity and quality of its drinking water supply was reinforced by the drought that affected much of the United States Eastern Seaboard, from 1963-1966. Annual rainfall averaged over those years as measured at JFK International Airport was about 20 percent less than the long-term mean at the time.37 Long Island’s water supply remained sufficient, but the groundwater table dropped and New York City was looking to supplement its supply as water levels in its reservoirs declined. At the time, no U.S. university-based oceanographic laboratory was specifically studying the coastal zone. The Oceanographic Committee pushed for the creation of the Marine Sciences Research Center (MSRC) in order to establish a coastal studies center, the first such in the U.S., emphasizing both research and education. In 1965, Suffolk County convinced the Board of Trustees of the State University of New York to create MSRC as part of Stony Brook University (SBU). The center prospered and has been involved in many of Long Island’s regional environmental issues. Today, it exists as the School of Marine and Atmospheric Sciences. Also in the 1960s, the confluence of a fish kill in a lake in Yaphank and concerns that birds and animals of the marine environment were being adversely impacted caused Victor Yannacone, a lawyer, and Dr. Charles Wurster, a SBU environmental scientist, to work together to legally stop the Suffolk County Mosquito Extermination Commission from using DDT to control mosquitoes. Ultimately, the courts did not side with the plaintiffs. However, the Suffolk County Board of Supervisors concurred about the detrimental effects of using DDT and in 1966 supported a ban of its use in the county, the first such ban in the country. New York State followed Suffolk’s lead in 1970, as did the federal government in 1972.41 Yannacone and Wurster along with Dennis Puleston and Art Cooley used the Suffolk County experience as a springboard to found the Environmental Defense Fund in 1967, which today is a national organization with an expanding international impact. In 1968, the Suffolk County Charter Review Committee proposed the Environmental Bill of Rights, which was drafted by Irving Like, Esq. This was unique for county legislation. The law to amend the Suffolk County Charter and include this Bill of Rights was adopted on August 11, 1970 and was officially enacted in January of 1971.42 Specific reference was made for the need to protect wetlands and shorelines, abate water pollution, conserve and regulate water resources, purchase development rights of agricultural lands, and acquire land and waters for county nature preserves. The law banned the sale of any detergents containing the above named surface agents in Suffolk County, except when needed for specific disinfecting purposes. This eventually led to an industry-wide change in the chemical composition of detergents. Subsequently, the county ban was removed in 1981. Section 208 of the Federal Water Pollution Control Act Amendments of 1972 required that all potable and swimmable waters in the country must achieve specific national water quality standards by 1980. Many Republicans saw this as an imposition on the private sector. Despite being a Republican-dominated county, the Suffolk legislature responded to this challenge by increasing its efforts to improve water quality and management from numerous angles.47 With a history of concern for the cleanliness of drinkable water already established, Suffolk County along with Nassau County undertook one of the first comprehensive studies based on Section 208 requirements that resulted in the publication of a plan to manage water at the county level. The Long Island Comprehensive Waste Treatment Management Plan48 was the culmination of the 208 Study and examined many aspects of surface and groundwater pollution including the need for regional management.49 Eight hydrogeologic zones (Figure 4), with differing recharge characteristics in Nassau and Suffolk Counties, were identified. This study also showed that one acre zoning was needed to keep groundwater impacts acceptable and yet allow development to proceed. In addition, pathogenic contamination from a variety of sources was examined. Figure 4: Hydrogeologic zone map, Suffolk County. County online maps. Concern about unlined landfills polluting the Long Island aquifer dates to at least the 1970s. But there certainly was not consensus within the county of what action should be taken to lessen their impacts. However, with the recommendation by the New York State Commission on the Water Resource Needs of Long Island53, the state legislature passed (with full support of the Long Island delegation54) the Long Island Landfill Law of 1983 (NYS Environmental Conservation Law, Article 27-0704). The state law specifically banning use of landfills in the aquifer’s deep recharge areas reflected Suffolk County’s local concerns. The law required that all such landfills must be closed by December 1990. The Special Groundwater Protection Area (SGPA) Project Report58 – introduced SGPAs based on environmentally sensitive hydrogeologic zones from the original report and specified the Pine Barrens as a valuable area for groundwater recharge. In the 1980s, the recommended switch to waste management centers followed by the mandated closure of landfills on deep-flow recharge sites by 1990, created a space crisis for waste disposal. Landfill space was diminishing and transport of waste off the island was becoming more expensive. The Suffolk County Legislature decided to approach the problem by attempting to reduce non-biodegradable waste destined for landfills. This approach was the genesis for both the 1982 “Bottle Bill” and the 1988 “Plastics” Law. In 1981, Suffolk County became the first county in New York State to implement a refundable bottle deposit program by passing a law proposed by Legislator Patrick Halpin.62 This program supported the recycling of used beverage containers and set the framework for Halpin, after being elected to the State Assembly the very next year, to introduce a statewide Returnable Container Deposit Act (commonly known as the Bottle Bill) that was passed into law. The objective was to reduce litter, ease the burden of solid waste facilities, and encourage recycling practices. Until the year 2009, this act only applied to carbonated beverages including soft drinks, beer, and malt beverages. The New York State Landfill Law and the increased concern for groundwater protection, in part, drove the Suffolk County Plastics Law of 1988 (properly titled “A Local Law to Simplify Solid Waste Management by Requiring Certain Uniform Packaging Practices in the County of Suffolk”). It was the first law in the country attempting to reduce the increasing amounts of plastic waste entering the waste stream.63 The waste of primary concern was non-biodegradable plastic packaging, particularly that composed of polystyrene or polyvinyl chloride. These compounds were found to be especially prevalent in discarded packaging from “retail food establishments” which constituted a large quantity of Suffolk County’s waste stream and, when incinerated, released potentially harmful toxins.64 The combined environmental impact of rapidly filling landfills encroaching on groundwater-sensitive recharge areas and the introduction of toxic byproducts prompted the banned use of packaging containing the above compounds. They were to be supplanted by biodegradable options, such as paper or cellulose-based materials. There were exemptions to the ban including plastic wrap covering raw foods, packaging used at hospitals and nursing homes, and paper or cellulose-based packaging with polyethylene plastic coating on one side. Overall the law introduced a new attempt to reduce refuse and protect environmentally sensitive groundwater recharge areas. This law also mentioned the noticeable increase in use of plastic shopping bags and their non-biodegradable nature. It prohibited their use at the point of sale at retail food establishments. The plastic ban act was a well-intentioned law, but was flawed in a number of respects. The law was weakened through exemptions, would not have achieved its goals based on waste counts and existence of other laws, was difficult to understand and enforce, and in some respects was inequitable.65 Nearly two decades later, in another effort to reduce plastic waste, the Suffolk County Legislature passed Local Law 34 of 2007 to “Establish an At-Store Recycling Program for Plastic Bags.”66 This was the first countywide law in New York State requiring such recycling in grocery stores with the purpose of reducing the number of bags proliferating in the environment. In 2009, the legislature discussed expanding this law to include paper bags and retail stores in general — not just grocery stores. It has been put on the back burner for now. Historically, Long Island was desirable for its open, arable land and productive coastlines. From the earliest settlements through the 1920s, residents made their living from the land and sea and benefited from keeping space available for farming. But Robert Moses was to change much of that, beginning with his discovery and researching of “water supply properties” in Nassau County.72 These undeveloped lands along stream corridors were owned by the City of Brooklyn dating back to the late 1800s and were acquired to be sites of potable water reservoirs, originally for Brooklyn and then New York City drinking water if ever needed.73 Moses saw them as city-owned properties that could serve as transportation corridors to Fire Island or other destinations for outsiders from New York City. They were there for his taking. With the returning GIs looking to start families in areas of growth with employment opportunities, “rural” Nassau and Suffolk Counties’ former potato fields and other farmlands became the perfect areas to experiment with model mass home production. Levittown in Nassau County was one such example, building 10,101 new homes by December of 1949 and increasing that to 15,046 homes by March of 1951.80 The demand for these homes was so high that there was often a waiting list several years long at the peak of development. This growth continued to skyrocket into the 1960s. 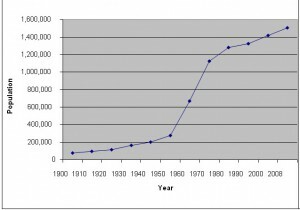 From 1950 to 1960 western Suffolk County showed a 161 percent growth while eastern Suffolk County grew by an average of 40 percent.81 The countywide population forecast for 1970 relative to 1960 estimated a growth of 64 percent with an additional growing summer or tourist population of 150,000 residents. People and Parks82, the first plan addressing open space, noted the deficiency of approximately 4,000 acres of municipal parks in the county that was growing so rapidly. It also referred to agricultural land and undeveloped land collectively as open space. John Wickham, a local engineer and farmer who later served on the Suffolk County Planning Board, protested this linkage pointing out that agricultural land was definitely not undeveloped and had important economic and cultural value.83 Thereafter, agricultural acreage and “open” space were treated separately both legislatively and programmatically. Also in 1960, the American Society of Landscape Architects held a forum in New York City focusing on parks and open space including government’s role in acquiring and managing such properties.84 Suffolk County recognized that it must move aggressively to protect its farms and open space in order to foster its own sustainability and to protect its lands from development pressures already experienced and anticipated from New York City. Going back to the 1950s, there were about 123,350 acres of farmland in Suffolk County, but by 1972, some 45 percent of that farmland had been lost leaving only 68,000 acres; farming had all but disappeared in Nassau County. John V. N. Klein, the Suffolk County Executive at the time, pointed out that increased property taxes, onerous inheritance taxes, and increased value of land were the causes precipitating the disappearance of agricultural lands. Farms were particularly attractive to developers because of limited ownership for large land parcels that were generally level, cleared, and well drained.85 Recognizing that the farms of the county were in peril, the County Executive instituted a Purchase of Development Rights (PDR) program for farmland in 1974. In 2007, it was the oldest such program in the United States and since the program continues today, it is still the oldest.86 Suffolk County made it clear to the rest of the country that the nation’s agricultural heritage was in jeopardy unless protective measures were put in place. The report distinguished between agricultural lands, natural lands (coastal and inland) and open spaces associated with schools and parks. In 1962, more than two-thirds of the total land of the county was open or vacant. The report presented the economic value of such open spaces with regard to tourism and agriculture. Agriculture alone used 14 percent of Suffolk County’s total acreage, primarily on the east end, and provided a $55 million industry. The plan also made some specific recommendations for preservation of open spaces previously uncategorized including historic sites and salt marshes as areas of wildlife spawning, high shellfish production and freshwater creek drainage basins, and barrier beaches. It included plans for farmland preservation in the Towns of Brookhaven, East Hampton, Riverhead, Southampton and Southold totaling 50,000 acres. It also recommended that the recreational park system should increase from 6,439 acres in 1963 to 15,400 acres by 1985. In the early 1960s, eastern county residents believed they had plenty of open space, having less development and more farmland than western county areas, and were opposed to the government establishing protection of public open space. They disliked the idea of increased taxation in support of open space and county regulation.100 But support for the ambitious Open Space Plan of 1964 with precedents for protection of agricultural land set the tone for Suffolk County legislation to come regarding open space and land use management. In 1970, in addition to the Environmental Bill of Rights, the First Comprehensive Land Use Plan was created. The Nassau-Suffolk Regional Planning Board (later the Long Island Regional Planning Board) completed the Long Island Comprehensive Land Use Plan in 1970 as follow-up to the 1964 Open Space Plan. In 1970, the population of both counties totaled 2.6 million and predictions expected the total to reach 3.3 million by 1985 (The 2009 U. S. Census estimated population of Nassau and Suffolk at 2.9 million, Suffolk at 1.5 million) with most growth in Suffolk. The plan was created in order to try to preserve “the ecological balance of the island”101 and presented a means to manage population growth, business development, natural resource protection and open space preservation. 5. Site for the protection of prime wildlife habitats. 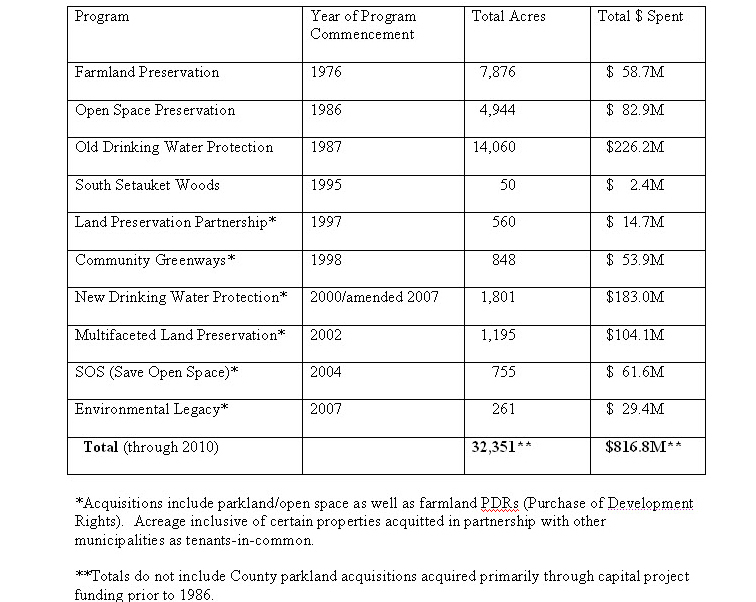 Figure 5: Suffolk County environmental land acquisitions and programs, 1976-2010. The last two decades have brought about many expansions, updates and clarifications to existing land use and open space programs and policies of the county. It also has been a period of the Suffolk County government forming partnerships with municipalities and independent non-governmental organizations to increase the stewardship of open space protection. The second Comprehensive Land Use Plan of 1990 expanded the initial plan’s programs and recommendations with the theme of “accommodation of development with minimal loss of the natural environment.” The primary focus was on increasing the preserved acreage of groundwater recharge areas and the Pine Barrens. In the 1960s, Suffolk County set the standards for county management and preservation of open spaces for community well being. The legacy continues as today’s legislators adapt open space and land use policies to include current issues. With the greater support for space preservation and concern for wildlife habitat, the county is focusing on acquiring smaller parcels that connect existing protected open space to create larger, contiguous preserved areas. Even as the population continues to grow in Suffolk County, concern for balancing development and land preservation keeps pace and more open space is set aside to attain the original goal of a higher quality of life. Figure 6: Covers of Suffolk County’s planning documents for protecting and acquiring open space, 1964-1990. Open space has long been an important benefit to the health and quality of life of multiple generations of county residents. Suffolk County has been aggressively environmentally progressive, and in some cases has set the example for the nation. It has embraced and invested in long range environmental planning, anticipated looming problems, acted on issues that were problematic and controversial, and established an environmental ethic that continues today. Being first does not guarantee that plans are implemented or that laws are effective, enforceable, or fair. There are many environmental issues that could have been planned for and executed much better over the years. The county still has too many areas without sewerage. Too little was done to make provisions for public transportation, and the placement of roadways like the Long Island Expressway may not have been optimal for groundwater protection. However, Suffolk County, in addition to protecting its own people and resources, has in many instances initiated a statewide or national debate on important environmental concerns. The county has helped shape the way we think about land use and environmental quality. The latter is of interest because the county has been politically quite conservative.115 From 1928 through 1992, Suffolk County voted Republican in 16 of 17 presidential elections, 1964 being the exception.116 Despite this, the county actively participated in New Deal programs to improve infrastructure.117 Post-World War II county officials certainly understood, based on the successful progressive initiatives of the Robert Moses era, the power of government to undertake large programs to promote social well-being. The driving forces behind this behavior are numerous. However, significant were the early observations of the impact of an ever-expanding New York City, the fear that expansion would creep into the county unchecked, and reaction to the consequences of a burgeoning population that even with the best planning could not be totally constrained. As Lee Koppelman pointed out, the entirety of Long Island was developable.118 The lay of the land, climate, and water resources, all favored complete grow out. There were no mountain ranges, deserts, or dismal swamps to impede the march of the compressed masses of the city moving into the county; all that could restrain growth was legislation. Sustainability of natural resources, farmlands and open space within the county, were totally at risk. At first, the concern was that New York City would drain the county’s water supply. Reservoir properties had been acquired by Brooklyn in the 1870s. A proposition had even been made by Suffolk County government to sell water to the City in the 1930s. Having prevented the taking of water by external municipalities, attention shifted to the increasing population following World War II and to that of the quality of the county’s water resources (drinking, surface, and estuarine waters). “Better living through chemistry” proved not to be always the case as county residents experienced the adverse effects of detergents, cesspool additives, DDT, MTBE, and plastics residues. As early as the 1920s, intense development began when the Smadbeck brothers created their high-density summer “get away” in idyllic Mastic Park. They advertised in The Brooklyn Citizen that the “Long Island Boom has started.” “The beautiful Forge River winds its way through Mastic Park,” the ads stated, posting full prices that were only $55 per lot, payable $10 down and $3 monthly.119 These tiny summertime residences soon became year-round habitats stressing the riverine environment with sewage pollution.120 Other 1920s bungalow communities such as San Remo (Smithtown), and West Meadow Beach and Rocky Point (Brookhaven) popped up as well. Quite soon, the growth and development extended far beyond summer communities to include burgeoning year-round suburban developments. By the 1950s, Suffolk had only to look a few miles to the west to see the impact of Levittown, and Stony Brook University would soon greatly alter the physical and social character of the hamlet of Stony Brook. The influence of Robert Moses was profound. Even the creation of the Fire Island National Seashore was partially a defensive reaction to Moses’s development vision for that barrier island.121 His programs were both an inspiration and a threat. Collectively, they helped inspire the county to protect its resources and to invest in environmental planning at a level unusual for county government. Continuity in planning leadership undoubtedly was a key to achieving the ambitious goals established a half century ago. The philosophy of the planning department didn’t change with political leadership. Perhaps fortuitously, Suffolk County reorganized its form of governance almost coincidentally with the shift in the national mood toward environmental protection. County officials recognized the changing American perspective and understood that there were going to be tremendous benefits for the county in the environmental field using federal support. The county made the environment a governmental priority based on need, opportunity, as well as enlightened leadership. This support in the ballot box is an outgrowth of the county making the case to invest in protecting the environment. The planning department had the science to justify to the voters that it was an imperative for Suffolk’s sustainable future. 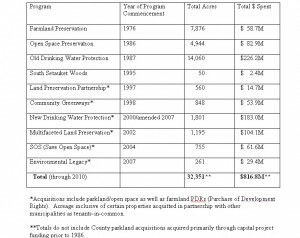 The county’s excellent analysis and planning also convinced Town governments and NGOs to invest in preservation of open space and farmland—perhaps on their own or in partnership with the county. Equally important as the long-term planning initiatives in the executive branch of county government are the other groundbreaking initiatives of the legislature. This body has forged innovative legislation preserving county water resources and its quality as well as preserving farms and open space. The actions of the legislature have changed the formulation of detergents, reduced litter throughout the state, called national attention to the growing plastics waste stream, and removed MTBE as a gasoline additive. This is an impressive track record. It is clear that innovative, aggressive, well thought out and scientifically supportable environmental programs have helped Suffolk County to retain its position as a desirable place to live. It has set the standard for counties across the country. The nation has followed the county’s lead on a number of occasions as well. The work is not over and the question remains: what is the “carrying capacity” of the county in terms of population? Our ability to adequately handle sewage may already have been reached using existing technologies. The goals for open space have yet to be reached and available space is running out. We look to our current leaders to be as thoughtful about our environment as those of the past. Hopefully they will have the wisdom, courage, and conviction to do so. Numerous interviews with Dr. Lee E. Koppelman were extremely helpful in the preparation of this article. He was also very kind to review the manuscript following completion. We appreciate having access to his expertise and time. We would like to thank Jim Bagg, Michael Mulé and Lauretta Fischer of the Suffolk County Department of Planning for the many hours they spent discussing Suffolk County history and policy with us and also for the trouble they took digging into the county archives. Cathy Ball of the Smithtown Library was very generous working with us to locate references and information. Many thanks also to Bonnie Stephens and Cassie Bauer for editing and formatting the manuscript for publication. 1 S. S. Ross, The Environmental Impact of Food Packaging Legislation: The Suffolk County, New York Plastics Law (Local Law 10-1988) and its Descendants, A thesis in Marine Environmental Sciences (Marine Sciences Research Center, State University of New York at Stony Brook, 1994), 44. 2 Profile of Suffolk County, http://www.lwv-suffolkcounty.org/This-is-Suffolk-County/Chap1.pdf (accessed July 7, 2010). 3 Lee Koppelman, Arthur Kunz, Edith Tanenbaum, and Dewitt Davies, The Long Island Comprehensive Special Groundwater Protection Plan, (Hauppauge, NY: Long Island Regional Planning Board, 1992), ii. 4 Lee Koppelman, Third Nassau and Suffolk Counties Comprehensive Plan 2000-2030, (Center for Regional Policy Studies, Stony Brook University, March 2007), 47. 5 Long Island Regional Planning Board, Historical Population of Long Island Communities 1790-1980, (Hauppauge, NY: August 1982): 16. LIPA, 2008 Long Island Population Survey, (Uniondale, NY: 2008): x. 6 R. Lawrence Swanson, Bruce Brownawell, Robert E. Wilson, and C. O’Connell, “What History Reveals About Forge River Pollution on Long Island, New York’s South Shore,” Marine Pollution Bulletin 60 (2010): 807. 7 Koppelman, Third Nassau and Suffolk Counties Comprehensive Plan, 66, 74. 8 Lee Koppelman, A Plan for Open Space in Suffolk County (Hauppauge, NY: Suffolk County Planning Commission, May 1964): 1-13, 99. 9 Suffolk County Legislature, A Charter Law to Amend the Suffolk County Charter in Relation to an Environmental Bill of Rights (Article I, Local Law 23-1970, Proceedings of the County Legislature, Hauppauge, NY: August 11, 1970): 796-803. 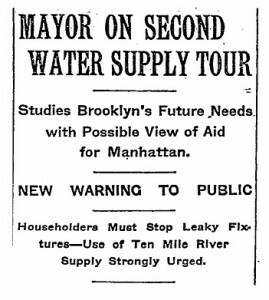 10 The New York Times, “Mayor on Second Water Supply Tour,” (May, 23, 1911): 4. 11 Jeffrey A. Kroessler, “Brooklyn’s Thirst, Long Island’s Water: Consolidation, Local Control, and the Aquifer,” Long Island History Journal 22:1 (Winter 2011): 3 https://lihj.cc.stonybrook.edu/2011/articles/brooklyn’s-thirst-long-island’s-water-consolidation-local-control-and-the-aquifer (accessed 30 December 2011). 12 Suffolk County Board of Supervisors, Proceedings of the Board of Supervisors, Water Application No. 1424, Special Meeting, (July 20, 1942): 187-189, 191-193. 13 Michael Dorman, “A Legacy of Kings,” Long Island Our Story (Melville, NY: Newsday, 1998), 333. 14 Suffolk County Board of Supervisors, Proceedings of the Board of Supervisors, Water Application No. 1424, Special Meeting (February 26, 1942): 187-189, 192-193. 15 Suffolk County Board of Supervisors, Proceedings of the Board of Supervisors, Regular Meeting (February 26, 1942): 58. 16 Suffolk County Board of Supervisors, Proceedings of the Board of Supervisors, Water Application No. 1424, Special Meeting, (July 20, 1942): 192. 18 Suffolk County Board of Supervisors, Proceedings of the Board of Supervisors, Special Meeting (June 19, 1944): 165; Suffolk County Board of Supervisors, Proceedings of the Board of Supervisors, Regular Meeting, (March 26, 1946): 88. 19 Suffolk County Board of Supervisors, Proceedings of the Board of Supervisors, Special Meeting (February 14, 1944): 47, and Special Meeting (May 14, 1945): 81-86. 20 New York City Department of Environmental Protection, Draft of Jamaica Bay Watershed Protection Plan, Vol. 1, (New York City, March 1, 2007): 26. 21 Suffolk County Board of Supervisors, Proceedings of the Board of Supervisors, Regular Meeting (April 30, 1945): 62-64; Special Meeting (May 14, 1945): 62. 22 Suffolk County Board of Supervisors, Proceedings of the Board of Supervisors, Regular Meeting, (March 26, 1946): 88. 23 Suffolk County Board of Supervisors, Proceedings of the Board of Supervisors, Regular Meeting, (November 28, 1949): 338. 24 Martin V. Melosi, The Sanitary City (Baltimore: The Johns Hopkins University Press, 2000), 233. 25 Lee Koppelman and Edith Tanenbaum, The Long Island Segment of the National Urban Runoff Program (Hauppauge, NY: Long Island Regional Planning Board, 1982), 7. 26 Howell Walker, “Long Island Outgrows the Country,” The National Geographic Magazine, XCIX, 3 (March 1951): 279. 27 Swanson, et. al., “What History Reveals,” 812-814. 30 Koppelman, et. al., The Long Island Comprehensive Special Groundwater Protection Plan, ii. 31 Suffolk County, New York, Report on Need and Feasibility for Public Sewage Disposal Facilities in Western Suffolk (Riverhead, NY: 1962): 17-19. 32 H. F. Wise, “Pollution and Planning Devices for Guiding the Planning Process Toward the Resolution of Environmental Problems,” Transactions of the Kansas Academy of Science 70, 3 (Autumn 1967): 19, 20. 33 Lee Koppelman, personal communication (August 2010). 34 Wise, “Pollution and Planning,” 20. 35 Suffolk County, New York Department of Environmental Control, Port Jefferson 201 Facility Plan, Suffolk County Sewer District No. 1 (Saddle Brook, NJ: Hasens and Emerson Consulting Environmental Engineers, February 1980) 2-11, 2-12. 36 Benjamin Wright, Suffolk County, personal communication (June 28, 2010). 37 National Oceanic and Atmospheric Administration, Local Climatological Data Annual Summary, JFK International Airport (Ashville, NC. National Climatic Data Center, 1989), 4. 38 Koppelman, A Plan for Open Space, 9. 39 Koppelman, Third Nassau and Suffolk Counties Comprehensive Plan, 253-254. 41 Rhoda Amon, “The Anti-DDT Vanguard,” Long Island Our Story (Melville, NY: Newsday, 1998), 350. 42 Suffolk County Legislature, A Charter Law to Amend the Suffolk County, 796-803. 43 Koppelman, et. al., The Long Island Comprehensive Special Groundwater Protection Plan, v.
44 Ross, The Environmental Impact of Food Packaging Legislation, 44. 45 Suffolk County Legislature, A Local Law Prohibiting the Sale of Certain Detergents in Suffolk County (Local Law 21-1970), Proceedings of the County Legislature, (Hauppauge, NY: November 10, 1970), 1149-1153. 47 Koppelman, personal communication (August 2010). 48 Lee Koppelman, Long Island Comprehensive Waste Treatment Management Plan, Volumes I and II (Hauppauge, NY: Long Island Regional Planning Board, 1982). 50 Federal Register Notice, Sole Source Aquifer Determination for AquifersUnderlying Nassau and Suffolk Counties, New York (June 21, 1978), 26611. 51 Environmental Protection Agency, Designated Sole Source Aquifers in EPA Region II, http://www.epa.gov/safewater/sourcewater/pubs/qrg_ssamap_reg2.pd (accessed July 3, 2010). 52 Koppelman, et. al., The Long Island Comprehensive Special Groundwater Protection Plan, vi. 53 Ross, The Environmental Impact of Food Packaging Legislation, 46, 47. 54 H. D. Berger, “What the Island’s Landfill Law Specifies,” The New York Times, (September 3, 1989). 55 Koppelman and Tanenbaum, The Long Island Segment of the National Urban Runoff Program. 56 Koppelman, et. al., The Long Island Comprehensive Special Groundwater Protection Plan, v.
57 Lee Koppelman, Edith Tanenbaum, and Dewitt Davies, Nonpoint Source Management Handbook (Hauppauge, NY: Long Island Regional Planning Board, 1984). 58 Long Island Regional Planning Board, Special Ground-Water Protection Area Project (Hauppauge, NY, 1986). 59 Pat G. Halpin, The Suffolk County Drinking Water Protection Program (Hauppauge, NY, 1990). 60 Koppelman, et. al., The Long Island Comprehensive Special Groundwater Protection Plan (Hauppauge, NY: Long Island Regional Planning Board, 1992), v.
61 Suffolk County Legislature, The Extension of the Drinking Water protection Plan (Local Law 35-1999). 62 Ross, The Environmental Impact of Food Packaging Legislation, 44. 64 Suffolk County Legislature, A Local Law to Simplify Solid Waste Management by Requiring Certain Uniform Packaging Practices within the County of Suffolk (Local Law 10-1988) (Hauppauge, NY: March 29, 1988), 350-354. 65 R. Lawrence Swanson, V. Breslin, S. Reaven, S. Ross, R. Young, and R. Becker, An Assessment of Impact Associated with Implementation of the Suffolk County Plastics Law, Local Law 10-1988 (Stony Brook, NY: Waste Management Institute, The State University at Stony Brook, 1993), iii-viii, 57-58, 153. 66 Suffolk County Legislature, A Local Law to Establish an At-Store Recycling Program for Plastic Bags (Local Law 34-2007) (Hauppauge, NY: November 20, 2007): http://legis.suffolkcountyny.gov/resos2007/i1868-07.htm (accessed July 19, 2010). 67 Ross, The Environmental Impact of Food Packaging Legislation, 44. 68 Associated Press, “Most Oil Companies in MTBE Law Suit Settle.” (May 9, 2008): http://www.msnbc.msn.com/id/24541226/ (accessed July 6, 2010). 71 Swanson, et. al., “What History Reveals,” 807. 72 Robert Caro, The Power Broker (New York: Vintage Books, 1975), 157-162. 76 Robert Caro, “The City Shaper,” The New Yorker (January 5, 1998): 43. 77 Caro, The Power Broker, 279, 310, 311, 343. 78 Walker, “Long Island Outgrows the Country,” 279-325. 81 Koppelman, A Plan for Open Space in Suffolk County, 15. 82 W. N. Leonard and L.E. Koppelman, People and Parks (Hauppauge, NY: Suffolk County Department of Planning, 1960): 30a. 83 Koppelman, personal communication (August 2010). 84 Koppelman, Third Nassau and Suffolk Counties Comprehensive Plan 2000-2030, 152. 85 J. V. N. Klein, Farmlands Preservation Program Report to the Suffolk County Legislature (Hauppauge, NY: 1973): 7. 86 Suffolk County Department of Planning, Open Space Acquisition Policy Plan for Suffolk County (Hauppauge, NY: Suffolk County Department of Planning, June 2007): 25. 87 Suffolk County Department of Planning, Agriculture and Farmland Protection Plan, (Hauppauge, NY: Suffolk County Planning Department, April 1996): 24. 89 Koppelman, Third Nassau and Suffolk Counties Comprehensive Plan 2000-2030, 164, 178. 90 Koppelman, A Plan for Open Space in Suffolk County, 104. 91 Koppelman, Third Nassau and Suffolk Counties Comprehensive Plan 2000-2030, 208. 92 Koppelman, et. al., The Long Island Comprehensive Special Groundwater Protection Plan, ii. 93 Koppelman, A Plan for Open Space in Suffolk County, ii. 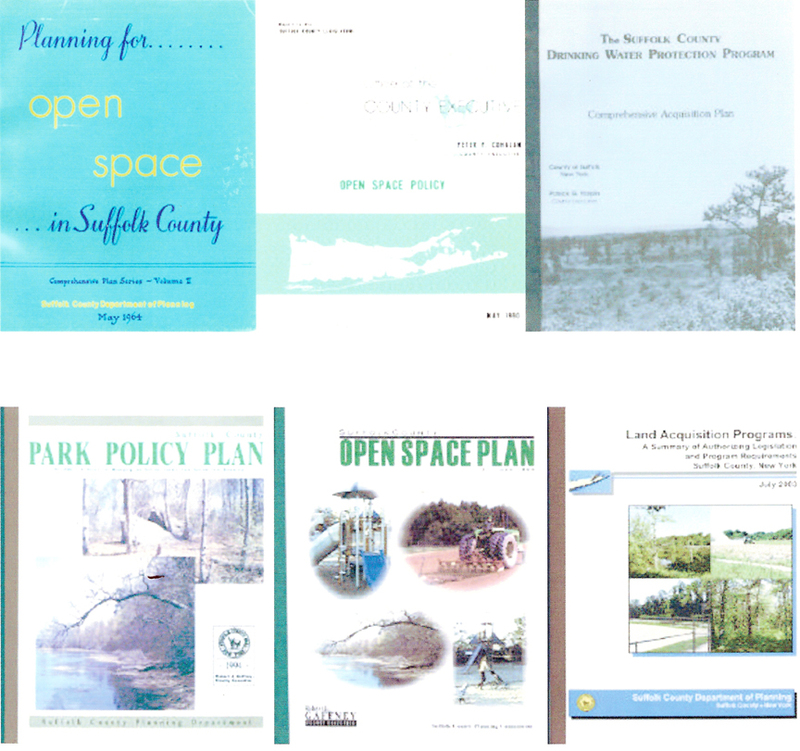 96 Suffolk County Department of Planning, Open Space Acquisition Policy Plan for Suffolk County (Hauppauge, NY: Suffolk County Department of Planning, June 2007): 25. 97 Koppelman, A Plan for Open-Space in Suffolk County, 5. 99 Lee Koppelman, personal communication (June 20, 2011). 101 Koppelman, Third Nassau and Suffolk Counties Comprehensive Plan 2000-2030, 46. 104 Suffolk County Department of Planning, Report to the Suffolk County Legislature: Open Space Policy (Hauppauge, NY, 1980): 1-24. 106 Open Space Acquisition Policy Plan for Suffolk County, 70. 107 Suffolk County Department of Planning, compiled by Lauretta Fischer, July 2011. 108 Open Space Acquisition Policy Plan for Suffolk County, 27. 110 Koppelman, Third Nassau and Suffolk Counties Comprehensive Plan 2000-2030, 33. 111 Open Space Acquisition Policy Plan for Suffolk County, 36. 115 Lorraine Lupinskie-Huvane and Alan Singer, “The Great Depression and the New Deal on Long Island, New York,” OAH Magazine of History 15: 4 (Summer 2001). 116 Smithtown Library, Historic Newspaper Collection, http://www.suffolkhistoricnewspapers.org/ (accessed July 28, 29, 2010). 118 Koppelman, A Plan for Open Space in Suffolk County, 16. 119 Swanson, et. al., “What History Reveals,” 807. 121 Lee Koppelman and Seth Forman, The Fire Island National Seashore: A History (Albany, NY: State University of New York Press), 65-71. 122 N. Gish, “Lee E. Koppelman: Master Planner,” Long Island History Journal 21:1 (Fall, 2009) https://lihj.cc.stonybrook.edu/2009/articles/lee-e-koppelman-master-planner/ (accessed 30 December 2011). 123 Koppelman, A Plan for Open Space in Suffolk County, 13. 125 Aldo Leopold, A Sand County Almanac (New York: Oxford University Press, 1949), 204. 126 Koppelman, A Plan for Open Space in Suffolk County, 1.